Step 1 : Now install winrar in your pc. Step 2 : Make one Folder in any Drive. 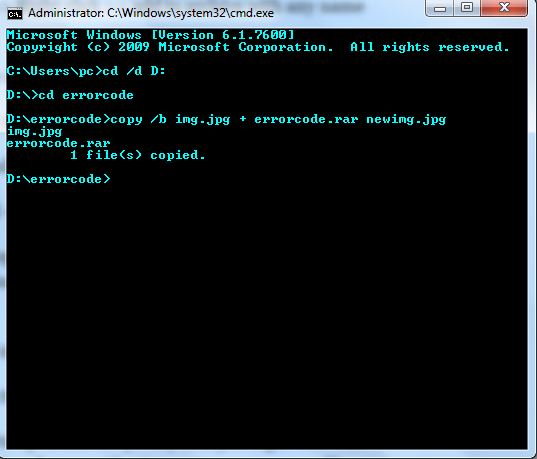 For this example I am creating folder "errorcode" in "D" drive. 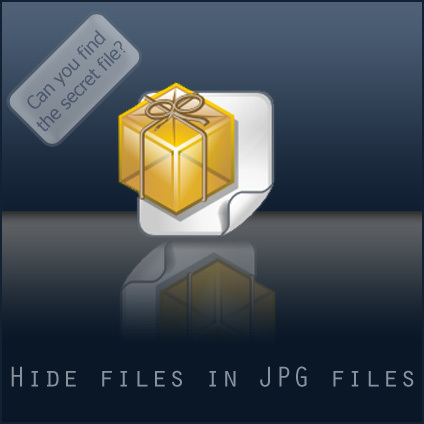 Step 3 : Copy your Image and file in that folder. 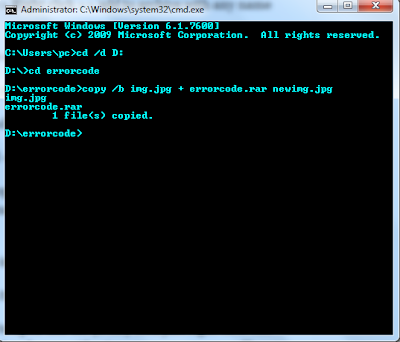 Here I am copying "vid.mp4" and "img.jpg" in "errorcode" folder. Step 4 : Select your both file ["vid.mp4" + "img.jpg"]. Right click on it. Click on Add to Archive and click on OK.
>>> Now you will see Three File in that Folder. >>> Then you will see one Image file name with "newimg.jpg"
>>> When you want to open your file "vid.mp4" then you have to just open your newimg.jpg in winrar. 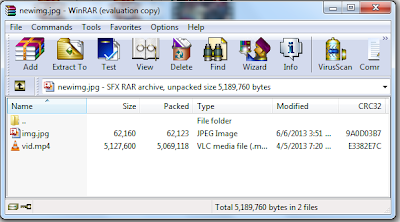 >>> In winrar you can see your File.